⃝ STRONG AND DURABLE - This product provides a guilt-free convenient disposable solution in a natural Kraft color. ⃝ MICROWAVABLE, HOT AND COLD, SOLID AND LIQUID FOOD SAFE - Oil resistant, and contains no artificial coating, petroleum, wax, chlorine or bleach. 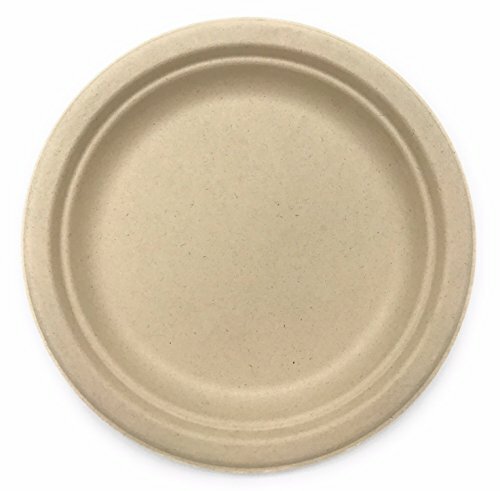 ⃝ ECO-FRIENDLY AND COMPOSTABLE - Make a statement with your guests on your environmental consciousness, this bagasse product can be decomposed within a matter of months in a certified facility, leaving no footprints behind. ⃝ BIODEGRADABLE PRODUCTS INSTITUTE (BPI) CERTIFIED COMPANY - This product is insured for up to 5 million USD product liability insurance. 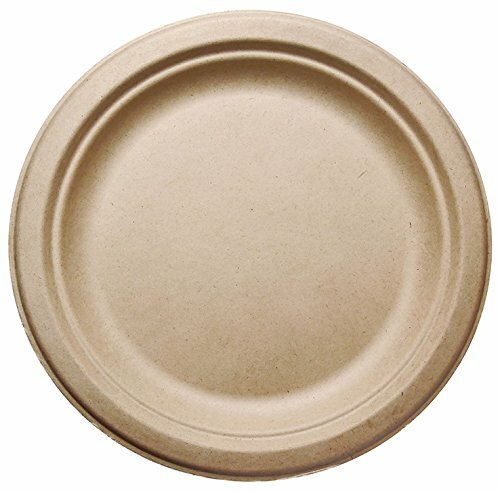  MADE WITH BAGASSE, A NATURAL BY-PRODUCT THAT WOULD HAVE JUST GONE TO WASTE - Our product recycles the pre-consumer by-products left during the production of sugar from sugarcane, the natural fibers are stronger yet durable and leaves no carbon footprint on our environment as it otherwise would be discarded and wasted. 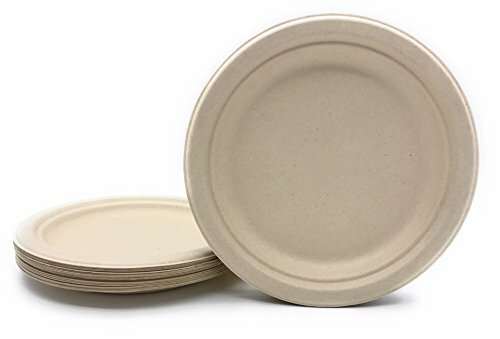 Unlike paper plates, plastic or even bamboo plates, these disposable plates are made with 100% natural non-toxic byproduct materials, completely tree free and plastic free.